This is the first book devoted to the subject of reconnaissance in the nascent Tank Corps in the Great War. It is a neglected field in spite of passing references to reconnaissance in a number of early books on the history of the Tank Corps. This is also the first attempt to provide a conceptual framework in which to consider intelligence and reconnaissance work and to see it in the broader context of military reconnaissance. Adding the term ‘Reconography’ to the military lexicon draws attention to a little-known monograph on the subject which has never entered the popular domain before now. The introduction of the tanks on the Western Front in 1916 launched a new form of armored warfare. After their baptism on 15 September 1916, the tanks became dependent on a few reconnaissance officers to guide them into action. The importance of these officers was fully recognized within the Tank Corps itself, but less so outside. The reconnaissance officers came to form an elite group of talented men, a special caste, whose contribution to the nascent Tank Corps was far greater than their numbers might suggest. It is surprising, therefore, that the contribution made by these officers has hitherto been neglected in the historiography of British tank operations in the First World War. 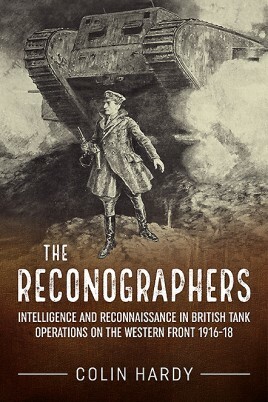 This book aims to appeal at a number of levels: it seeks to pull together the activities, skills and techniques of tank Intelligence and reconnaissance officers and assess their place and contribution to British tank operations in the Great War; it places tank reconnaissance work in the wider context of intelligence and reconnaissance activities prior to the war and it also provides a case study of the tensions that inevitably occur when new wine is put into old bottles, or more prosaically, new technology into existing organizations. It has been necessary to create conceptual structures in which reconnaissance operations can be analyzed; it attempts to breathe life into what some might regard as a dull technical subject by devoting space to key figures in Tank Corps’ intelligence and reconnaissance activities. Fortunately, and perhaps as a consequence of their activities, they were some of the most colorful and interesting figures in the Tank Corps at that time. In awarding the author the WFA-Helion Holmes Prize, the judges concluded that ‘his work reflects deep research, a high standard of writing and a notable originality’. 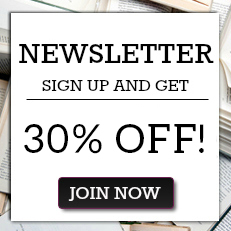 The book draws together work the author has undertaken in three different academic fields. Colin Hardy graduated from the University of Leeds with a Degree in Geography - having specialised in Geomorphology and Historical Geography. During his study for a MEd at Nottingham University, he specialised in Organisational Theory. The work for both of these Degrees contributed to his election as a Fellow of the Royal Geographical Society (FRGS). Following 35 years in education - retiring as the headteacher of a large secondary school - Colin completed a Master of Arts Degree in British First World War Studies at Birmingham University - and the subject of his dissertation is the basis of this book. He has contributed articles to a number of journals, which have included challenging the conventional wisdom that one of the first tank commanders committed suicide.